In January, I told you why I write outside my culture. This month I’ll tell you how. Not how I write, but how I learn about cultures I don’t belong to and events I didn’t live through. Have you ever been told to “write what you know”? 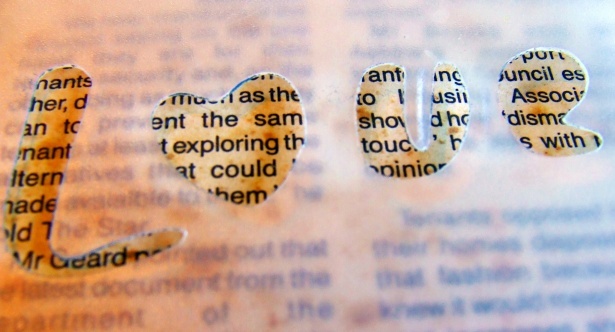 Some writers think that means they should only write about things they have directly experienced. But if everyone felt that way, we would have no historical fiction, no biographies of long-dead individuals, and no fantasies from Middle Earth. So what does the phrase really mean? I think it has two components. One is the writer’s reaction in situations that evoke the same emotions. Can I know how my protagonist felt when the government took away her freedom and placed her in what was essentially a prison camp? Not really. But I do know how it felt when my parents punished me by taking away something I really wanted. By remembering that feeling and magnifying it exponentially, I may come close to what my protagonist would have felt. But it is the other component that I want to concentrate on in this post. To write what you know, you must research, research, and research. Autobiographies, letters, newspapers, and “as told to” accounts are better than history books for learning what people actually experienced. For more recent events, interviews provide additional information by showing the anguish in the person’s voice and the pauses for composure before talking about certain subjects. I will cover interviews in a later post. I was fortunate to have good materials available when writing Desert Jewels. 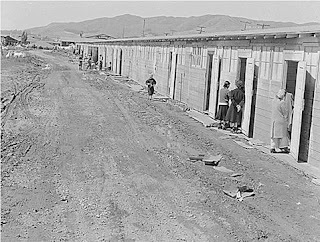 I followed the footsteps of Yoshiko Uchida, who lived in Berkeley before Pearl Harbor, was initially incarcerated at Tanforan Assembly Center, and was then sent to Topaz (officially known as the Central Utah Relocation Center). Hers was one of several memoirs by people who were sent along that same path. In addition, the camp newspapers from Tanforan and Topaz are available online. So I had a wealth of information to use when trying to create an authentic experience for the reader. Using that information, I attempted to capture both the facts and the external and internal reactions they produced. Accuracy is crucial if I want to honor the culture and the people who lived through the events that provide the background for my story. The main point here is that you and I don’t have to belong to a culture or live through an event to write about it. But we’d better have done our research. The photograph at the head of this post shows the stables that were turned into living quarters for some of the Japanese Americans incarcerated at the Tanforan Assembly Center in San Bruno, California. The June 16, 1942 picture was taken by Dorothea Lange as part of her official duties as an employee of the United States government. Because it is a government document, the photo is in the public domain. During 2015, I took the time to come up with twelve different writers who have inspired and influenced my writing. But for 2016, I have decided to come up with ten suggestions of writing books that I have used to improve my writing. Some of them won’t be long posts, but I will show how they inspired me to write better. One of my favorite books was written by my favorite author. Steven James. He is a master at capturing my attention in his Patrick Bowers series. He also captured my attention at a Writer’s Conference in February 2014 where he was the keynote speaker. James’ is a regular contributor to Writer’s Digest, and I LOVE reading his writing suggestions in there, so when I found out, from him, that he was written a writing book, I purchased it right away. 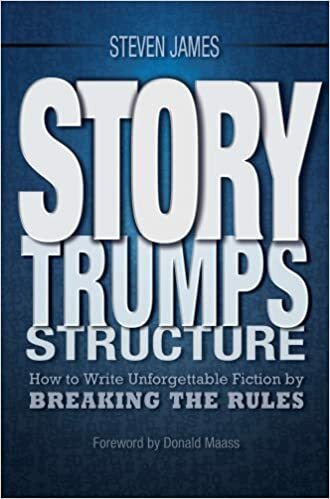 The book is titled Story Trumps Structure. James’ is a huge supporter of writing without an outline or a plan. Too many writers create a story with an outline, and they don’t allow the story to take them where it needs to go. They are controlled by the outline that they made before they started writing. Even J. K. Rowling has admitted to this recently. She outlined that Hermione and Ron should be married, but she felt a tugging to have Harry and Hermione get together, but she stayed with her outline, so she didn’t do what she should have. She has regretted that decision lately. He has an entire section devoted to writing organically. James’ shares his secrets to creating a story and allowing the plot and characters to dictate where the story needs to go. I have underlined a lot in this section. Most of the book features on how to create tension and how to make it harder for your characters. As I write, I need to make the reader believe that something worst is going to happen and there is nothing else that could go wrong. Wrong! Something worse needs to happen. Something to push the characters further from accomplishing their goal. 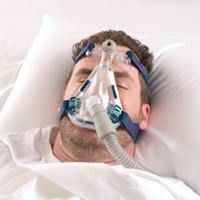 I need a lot of help doing this. As a suspense writer, I come up with ideas, but I don’t think I push and push until my characters break. But James gives a lot of tips showing how to do this. My copy of Story Trumps Structure has a lot of underline and post-it notes sticking out of it. I need to keep reviewing sections to include in my writing. It isn’t a book for the faint of heart. It has a lot of practical advice for writers in any genre. I highly recommend every writer buy this book. If you have read Story Trumps Structure or any of Steven James’ books, what is your favorite part of his writing? Share your favorite quote from the book and let’s start a discussion. Tomorrow is Valentine’s Day, and this week I made up some packages to mail to my five grandchildren, ages nine to three. They all live close enough to visit, but because I know they like to get mail, envelopes and stamps were part of my plan. The packages contained Valentine’s Day–themed coloring pages, activity sheets, jokes for kids, and customized coupons for hugs and games, all of which I downloaded free from the internet. Hey, I did not say I was a generous grandmother, but at least I didn’t completely forget to send them something as I sometimes do when my head is deep into an edit for days at a time before I realize a holiday is upon me! My hope is that even these small gifts, also customized according to their ages and interests, will remind them that their grandparents know them and love them. I got to thinking, though, about how writers can use a little love too. Yes, buying their books is a winner. Voting for an award is fantastic. (Anybody remember actress Sally Fields winning her Oscar in 1985? “You like me! Right now, you like me!”) An encouraging word, a “Like” on a Facebook or other social media post, a fan letter or email, a comment on a post, a review on Goodreads or Amazon, a publishing contract are all great. Okay, granting that last lovely is not in everyone’s power, but most of us can come up with some small action to show appreciation and love for a writer’s work. Though I try to sprinkle praise throughout a manuscript I am editing, I admit I am weak when it comes to intentionally making an effort to let an author know I enjoyed his or her work in some of the ways noted above. But on this Valentine’s Day, I am thinking perhaps I need to change that, because I do so love authors! What about you? What ways have you found to show an author your appreciation? Or as an author, what expressions of appreciation for your hard work have meant the most to you? 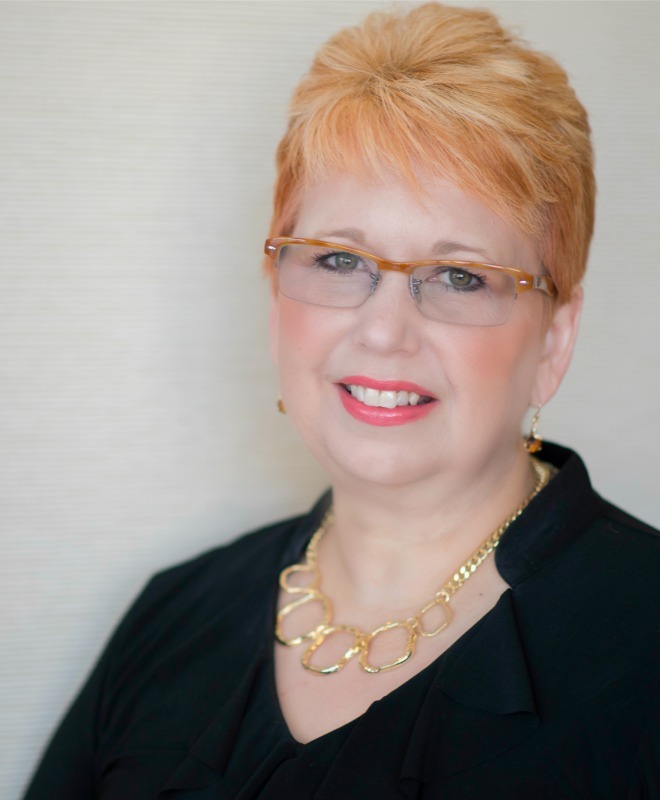 After twenty-four years with publishing house Zondervan in Grand Rapids, Michigan, most recently as an executive managing editor, Jean Bloom returned to Central Indiana to be near family and take her freelance editorial business full time (Bloom in Words Editorial Services). Her personal blog is Bloom in Words too, where she often posts articles about the writing life. She and her husband, Cal, have three children and five grandchildren. There comes a moment in every WIP in which it seems that the kindest thing to do is hit the delete button, empty the trash, and start fresh. Don’t do it. It’s less dramatic than the lusty zing of ripping a page from a manual typewriter, wadding it up with a growl, and pitching it across the room, but it’s more permanent. This is where a critique group is helpful. In my opinion, the best group is the one that meets face to face. It’s a luxury most don’t have. Don’t despair. Help is out there. ACFW offers on-line critique groups for your specific genre. Even established writers might find an occasional critique session helpful. There is also this wonderful invention called a phone. It allows you to call another writer and moan to an empathetic ear. "This WIP is terrible! It’ll never be finished! What brain freeze made me think I could write?" Of course, you’ll then hear how they’ve been through the same thing. Oddly, such an exchange can fortify you rather than confirm that throwing in the towel and throwing out the “trash” is the best step. It reminds you that these feelings are normal and will pass. Soon, you will fall in love with your story again. Don’t wallow in self-pity. Swallow your pride and make the call. 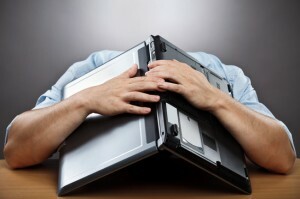 Writing fiction can be a love-hate relationship. You pour yourself into the story for hours on end and like eating an entire pie at a sitting– no matter how good it is—you get sick of it. Stuffed. Glutted. Gorged. A little fast may be in order. Take a break from it. Throw yourself into your family, church activity, praising God, or a nature walk. Sometimes simply removing self completely, if briefly, from the effort of writing will refresh you and vitality miraculously reappears in your already-written word. Remember this the next time you are tempted to take overly drastic steps with your WIP. How many times have you “given up” on writing? How many WIP have cause you to run from the room screaming? How many have you trashed and regretted it? Speak up. Your episode might just be the pep talk some fellow author needs today. Brilliant Blog Award Winners Announced! This post first appeared on Karla Akins' blog. As you may know if you read any of my posts last week, I've launched a new contest this year. I'm recognizing outstanding blogs. Blogs that catch my eye. Blogs that I love. In choosing blogs for this award, I follow the rubric below. Now, keep in mind, anytime there's a contest that pits one thing against the other, a judge's opinion is extremely subjective. Also, as this is my first time doing this type of thing, this rubric is subject to change. As I learn more about what works and what doesn't in creating a great blog, and as I scrutinize blogs more carefully this year, I'm certain to figure out other important or not-so-important elements. But I also go with a gut reaction when I'm at the blog site. If there's a quick intake of air, if I feel that my time has been well-spent, if I feel butterflies -- chances are it's a blog that even lines up with the rubric I've created. By the way, I'm not comparing blogs with over 1000 subscribers to blogs under 1000 subscribers. All blogs are considered in this contest as separate entities apart from their popularity. I don't choose a blog simply because it's more popular. There are a lot of popular blogs I don't read or don't like. I choose them for how they appeal to me or meet my needs as a Christian writer. Now. On to the awards! Drum roll please! My first pick is in the Secular Travel Blog category. I've chosen Camels and Chocolate by Kristen Luna. I've followed Kristen for quite a few years now. But when she gave her blog and website a makeover, I was mesmerized. There's really nothing I don't like about this blog. Copious pictures. An engaging writing style. Useful information. Not to mention the aesthetics of this blog are second to none. Congratulations, Kristen! Giving you this award is a no-brainer. Readers, if you want to know how to do a blog in an engaging way, study this one! Food category -- The Miss Nini Blog. Full disclosure: "Miss Nini" is a friend of mine from way back when I lived in Iowa. But we haven't seen one another in person for more than 20 years! And we just recently (about a year ago) got back in touch via Facebook. She and her husband, a very successful sheep farmer, attended our little storefront church in Anita, Iowa years ago. And now she's a famous baker! She's won tons of awards at the Iowa State Fair, been a contestant on Shark Tank, and got her picture in the New York Times. But that's not why I love her blog. First, who doesn't love baked goods, right? But I also love Miss Nini's writing style. You have no idea how thrilled I was to learn she is writing a book now. Her turns of phrase are as delicious as your kitchen concoctions, I assure you. I have fallen in love with Zoe M. McCarthy's writing advice. One of the reasons I like it so much is that it's worthy of my time and the posts are usually moderate in length. I get a lot of info without spending a lot of time. Several of her posts I've bookmarked. The information is so worthy. I never delete a post that shows up in my mailbox. Karen Wingate's blog, Grace on Parade, contains rich content. And I absolutely love the daisies! Her web design is lovely. But it's the content that's impressive. Each post is well-thought-out. Each post conveys a message. I like that. So, tell me, Dear Reader, what are your favorite blogs so far this year? Weigh in! And congratulations to January's winners! Write on, ladies! I'll be in touch with the secret code for posting the button to your blog (if I haven't given it to you before now). What do our winners get? Winners get to display the Brilliant Blog Button on their website. Readers can click on the button to vote for them for Blog of the Year. Fun, right? 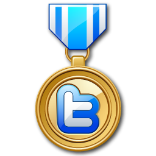 Tweet this: January's Brilliant Blog Awards announced! 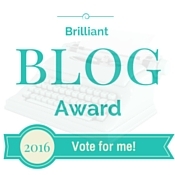 Do you have an award-worthy blog or know of one? Let me know in the comments below. And take time to congratulate January's winners! homeschoolers including O Canada Her Story,Sacagawea and Jacques Cartier. Her first novel, The Pastor's Wife Wears Biker Boots features a homeschool mom. Her work has also been published in The Old Schoolhouse Magazine, Splickety Magazine, and she currently writes for Happy Sis Magazine. You can find more information about her life and ministry atKarlaAkins.com.